London 2018. It's got a bit of a ring to it, doesn't it? Last summer, we pretty much all got wrapped up in the excitement and pride of the London 2012 Olympic and Paralympic Games. And now some of us feel, well, a bit bereft. Brazil may have some problems right now, but Boris isn't expecting a PhoneAFriend call for help from Rio for London to step in. So, for those of us hankering after a new major global sporting event in our fabulous capital, what now? Well, in five years' time, the Opening Ceremony of the Gay Games will begin. Most of you won't have heard of the Gay Games, but it's a global sports event with 12,000 athletes (gay, straight, and anyone else) from 70 countries. Think Olympics, but with an emphasis on flamboyance. There are a fair few similarities with London 2012, with many Olympic/Paralympic sports taking place around London 2012 venues - the Queen Elizabeth Olympic Park, Aquatics Centre, Copper Box, VeloPark as well as ExCeL London and Hyde Park too. A gay version of the IOC (the Federation of Gay Games) will be flying in a crack team of inspectors to assess the candidate cities before a final showdown vote in October. There's even a re-run of the 2007 head-to-head with Paris vs London. Oh yes indeed, we love beating Paris as much as the next Londoner. Along with a strong bid from Limerick, it's going to be a Gay Games 3-way to match no other. Building on London's success last year, our city is in perfect position to win mega-global events like this. But the London 2018 bid team need your help. Ahead of the crucial inspection on 12 July, they need to demonstrate the strength of support to host the Games. 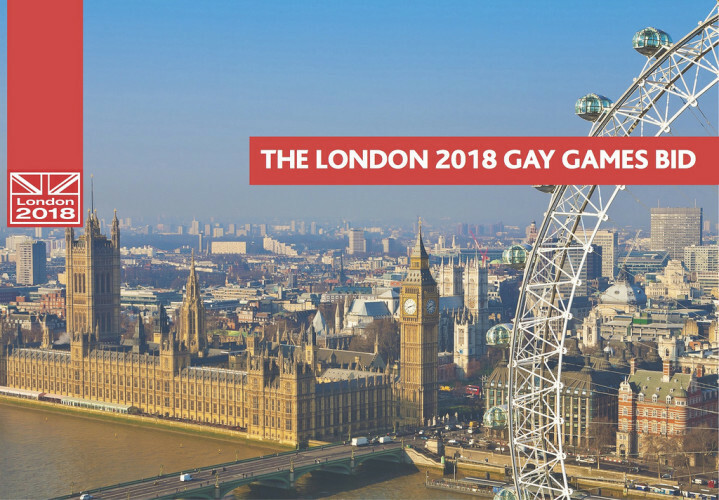 If you're gay, straight, lesbian, bisexual, trans or, indeed, just in the mood to see London host a camp sportfest like never before, click 'Like' on facebook.com/London2018. By doing this, you will be helping London win once again. And wouldn't it be delicious to slip past Paris on the finish line, turn round, and blow them a camp little kiss?